Right now would be a great time to be back in Orlando, FL where I went for a work conference in January. I attended to one of the first of many Advertising Specialty Institute (ASI) shows that are hosted every year, bringing the top suppliers and quality distributers together. ASI shows provide an opportunity for distributers, such as CurrentSpecialties, to meet with suppliers and check out all of the newest products. It’s also a chance for all of the ASI members to benefit from a wide range of free education. 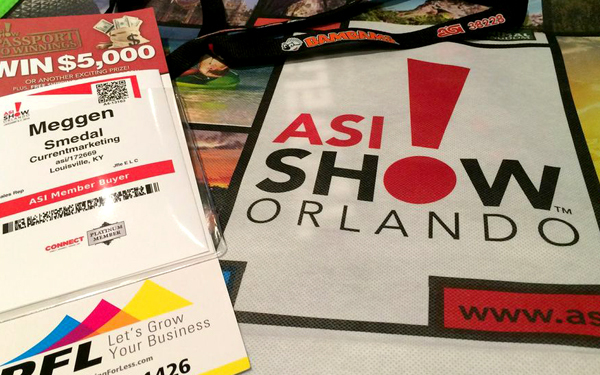 The ASI Show in Orlando was a three day conference held at the Orlando Convention Center. The first day, I had a full schedule of classes focused on how to build a specialty business. Being that I’m relatively new to the industry, I took full advantage of being surrounded by other distributors; most have been in the business for 10+ years. The first day was class after class and a lot of good information to soak up. I had the pleasure of listening to Troy Harrison, a representative from SalesForce Solutions, who spoke about asking the right questions to make sure buyers get what they want. He really focused on taking the consultive approach with buyers to see the bigger picture in growing their business through specialty items. I can really relate to taking this approach from my previous experience as a marketing consultant, so it was nice to hear how to use those skills in this industry. By far, my favorite speaker of the day was Chris Vanderzyden. She was simply amazing! The title of the session was, “Zero to $1 Million – Secrets of Successful Entrepreneurs”. It was very inspirational to see another woman in such a high position who reached for goals and succeeded. She helped me realize the importance of building strategic alliances in your business and there are no barriers to going global. I really related to Chris because she started her own business, being the only employee in a small town that had poor dial up internet. If she can do it, CurrentSpecialties can do it! Being a one-woman show can be overwhelming at times, but she helped me realize if I stay organized and focused then goals can be reached. After a full day of education and soaking up new knowledge, I was ready to go out and start selling right away! The second and third days of the conference features open exhibits for all of the distributers, like CurrentSpecialties to walk through and see all of the booths. These two days were a little overwhelming. I was warned before hand by other distributors I met that it, being my first show, would probably be that way.  However, at the same time it was exciting to see the unlimited amount of ideas when it comes to company apparel and promotional items to help market any business. I was very selective about who I spoke with and only took pictures of the coolest items I found for 2014. It was nice to have the suppliers there in person to ask questions. Everyone wants to have the opportunity to work with you, so they’re open to giving you information. A perk of the conference trip was the VIP night at The Animal Kingdom, hosted by ASI. It was a night out to get to know the other distributors and suppliers on another level all while being pampered by ASI. It was a great way to end the trip and feel the support of everyone in the industry. Overall, being my very first ASI Show, it was a great experience that expanded my specialty knowledge. I’m looking forward to seeing what 2014 has in store! Hi, Meggen. I just wanted to thank you for the nice comments. I’m glad you enjoyed the questioning session; that’s one of my favorite sales subjects to teach.